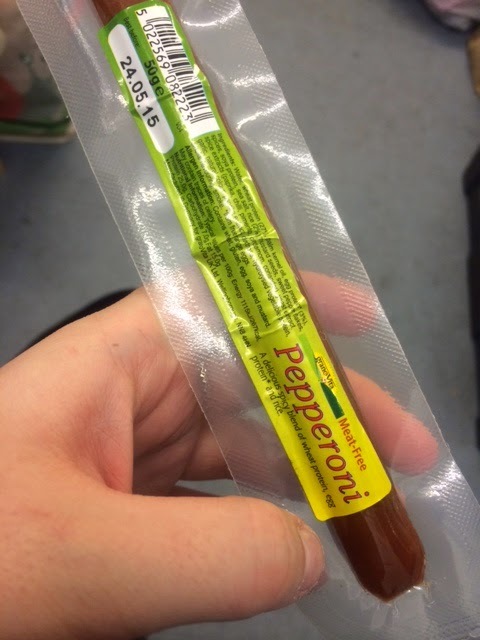 So, I've finally found a product which is comparable to actual pepperoni! This meat-free pepperoni is gorgeous with pasta, on pizza or just on its own as a snack. It's made from wheat protein, egg protein and soya (so it's unfortunately not vegan). It has little lumps of rice inside to mimic the fat which is inside a pepperoni, when it's cooked you really can't tell the difference. This has a high protein content so it's great for a healthy and satisfying on-the-go snack. Definitely give this a go if you're veggie and looking to replace meat with something tasty!